Forever and a Day is free on Amazon for June 12th and 13th only. A last testament, or a lasting testament? What is the secret of Eleanor’s diary? Did Eleanor die in the throws of delusions, or did she find a gateway to the Hollow Hills of the Fair Folk. Jason Silver thinks he knows, for there was no body. This entry was posted in Uncategorized and tagged C.N.Lesley, Celtic, dark fantasy, hollow hills, magic, Warlocks on June 7, 2015 by cnlesley. Spooky short story on Amazon. 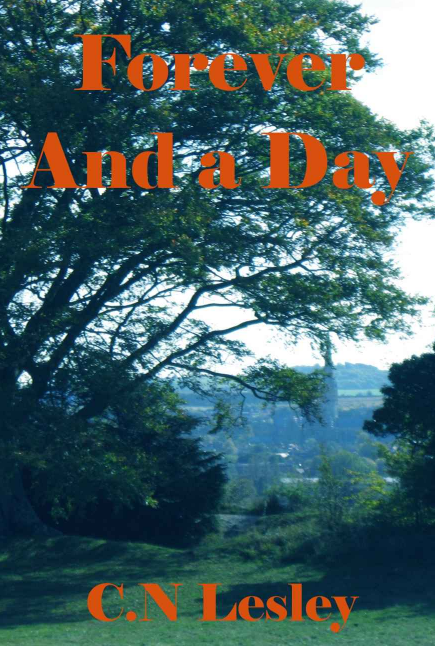 Forever and a Day is only available on Amazon and therefore in their Prime lending library. That means it is free to members, or it can be bought for 99c. Blurb is below. Go check out the trailer. As a cancer takes root, so too do strange visions and a visitor who should not exit. Robin has a headstone in the churchyard. It says departed, but not dead. He says he has been in the hollow hills. Is this madness? The witching hour approaches with the coming of Samhain. What will it bring? This entry was posted in Uncategorized and tagged book, Celtic, dark fantasy, Ghosts, hollow hills, warlock on March 14, 2015 by cnlesley. Depends on the writer and the book as to the weirdness. Right now I am working on a manuscript. Very different from my other books and therefore the muse needs alternative stimulation. Currently listening to early Pink Floyd. This entry was posted in Uncategorized and tagged dragons, elves, hollow hills, magic, paranormal., surreal, Warlocks, witches on December 2, 2014 by cnlesley.